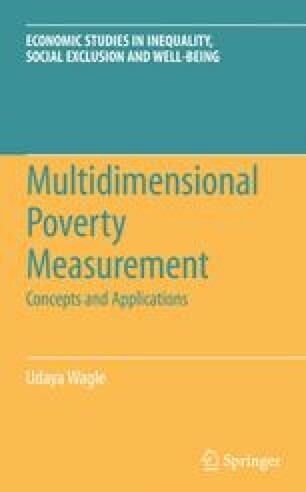 The previous chapter discussed the three streams of development in the conceptualization and measurement of poverty. Albeit occurring somewhat independently, these developments attempt to find ways to better conceptualize and predict some form of the quality of life or deprivation. The development in economic well-being and capability research, for example, explicitly places poverty at the core of the analysis. In fact, the notion of capability uses a new lens to conceptualize poverty. Albeit defined more broadly, the notion of social inclusion focuses on the social or relational part of the quality of life. It does not specifically equate poverty, defined in the conventional, economic sense. When poverty is defined more comprehensively focusing on the overall quality of life or human well-being as an outcome, however, social inclusion can provide enormously rich information to assess it.